First part: 1. Introit -- 2. Kyrie -- 3. Gradual -- 4. Sequence -- Second part: 5. Canticle -- 6. Sanctus -- 7. Agnus Dei -- 8. Communion. 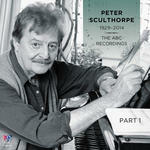 CD: Requiem, and orchestral works / Peter Sculthorpe. 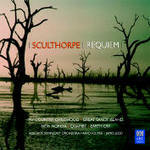 Score: Requiem : for SATB chorus, didjeridu and organ / Peter Sculthorpe.